Lugger bins are V-shaped recycling or storage containers. Their small size and unique design make it easy to place into tight spots. 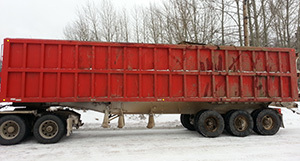 These bins are larger and used for waste storage, scrap recycling and demolition. They are transported by truck to the customer site and then picked up again. 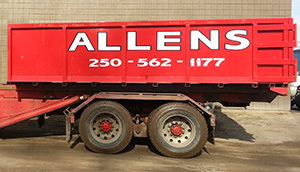 The demolition bin is the perfect solution when you need a lot of scrap removed but don’t want to pay for multiple trips and dumping fees - supersized. We appreciate your business and understanding of our need to protect employees and the environment.